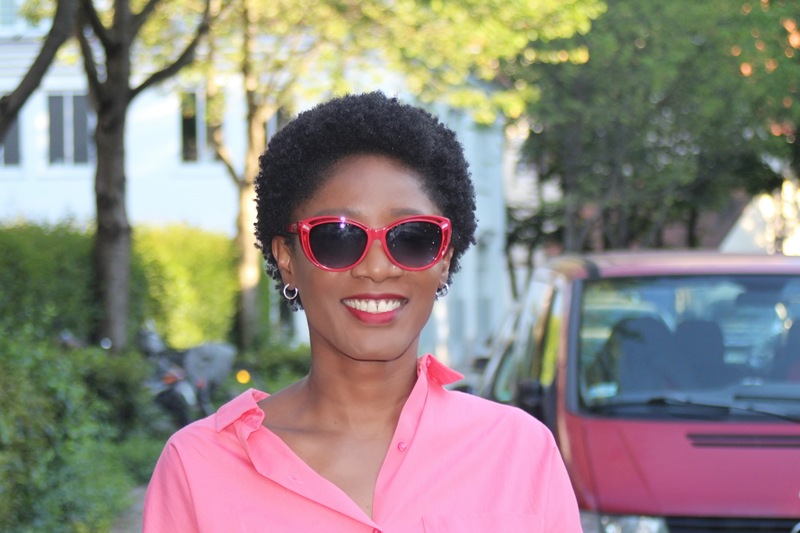 It was a super hot and sunny day in Munich and I was feeling bright and colourful, so I decided to go for something short and bright. 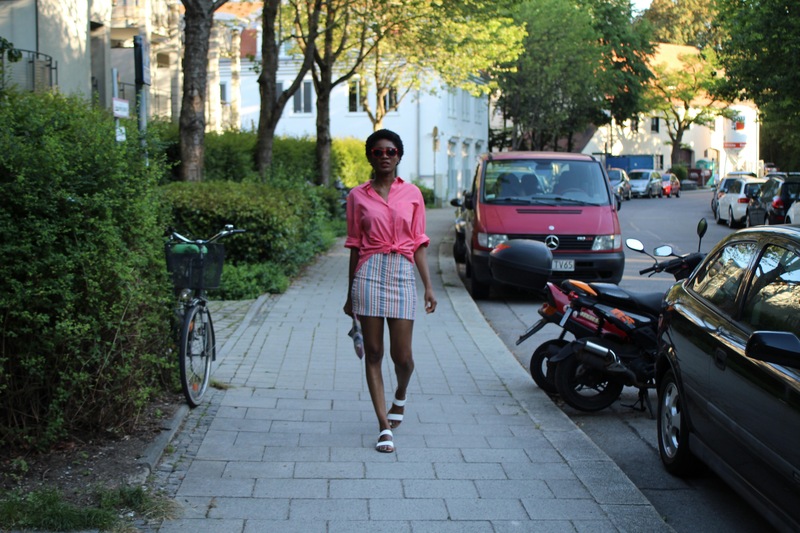 Pairing a striped mini skirt with pink coloured oversized shirt. I gave the shirt a little tied knot to give a chic look and for shoes white flat sandals, accessorised with a patterned clutch and a pair of red sunglasses. This outfit will look super cool with a pair of white sneakers. The shirt will look great with jeans or skirt worn and high heel sandals. It’s a perfect piece for summer it can be dressed up or down, throw on a white T-shirt and a pair of sandals or trainers with your favourite pair of sunglasses for those hot summer days, and wear it with a pair of heeled sandals for a night out. I would love to hear from you, so please drop a comment.